The Children's Room: Summer's over.....what were my favorite summer reads? 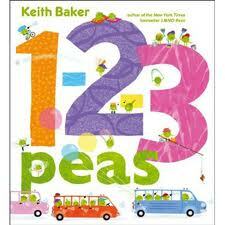 Summer's over.....what were my favorite summer reads? 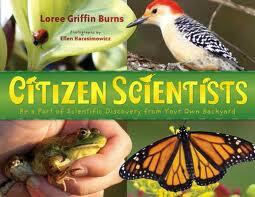 It's hard to believe that everyone's heading back to school---could this glorious, hot, humid summer really be over? 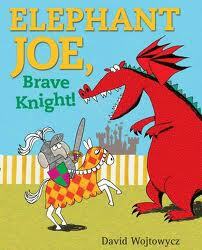 I'll also mention a pair of great adventure stories for the young set---both tales of knights and dragons. Elephant Joe, Brave Knight by David Wojtowycz, is a tale about a knight who also happens to be, you guessed it--an elephant! 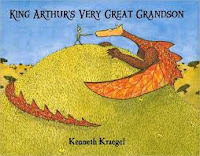 And King Arthur's Very Great Grandson, by Kenneth Kraegel, is the story of a young knight searching for a battle. They are both wonderfully sweet adventures. 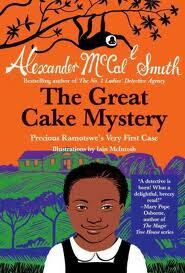 One of my favorite books for early chapter-readers is the new book by Alexandar McCall Smith, starring Precious Ramatswe as a child, solving mysteries at her school in Botswana. It's called The Great Cake Mystery. 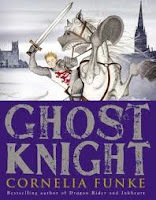 Ghost Knight by Cornelia Funke---Funke's latest is part family mystery, part ghost story, and all good! 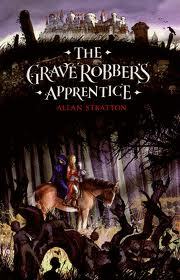 The Graverobber's Apprentice by Allan Stratton---an adventure fantasy with an evil archduke, a lost prince, a feisty young countess, wolves, hermits, and, of course, a graverobber. It's a great story! 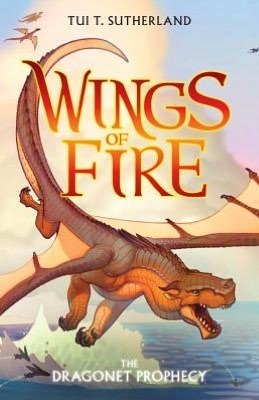 Wings of Fire by Tui T. Sutherland---okay, so it's a tried and true, and very familiar genre---the animal fantasy based on a civilization of some species (think Erin Hunter's Warrior series). This time it's animal civilization dragon-style. We've heard it all before, but Sutherland does a solid job, building a world we can believe in and creating characters we care about---kids will eat it up! 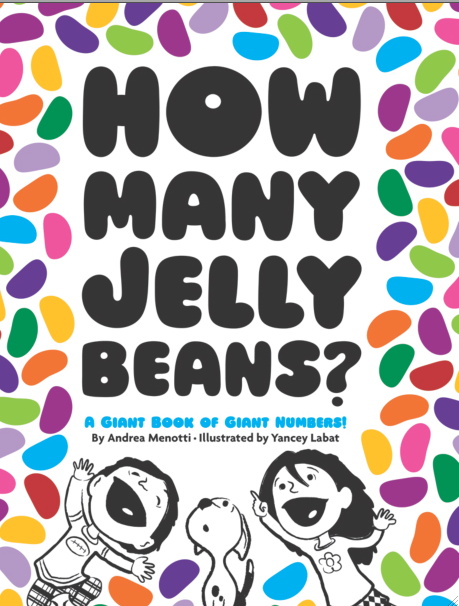 Three Times Lucky by Sheila Turnage and Tinfoil Sky by Cyndi Sand-Eveland are two realistic fiction stories about girls facing different challenges. 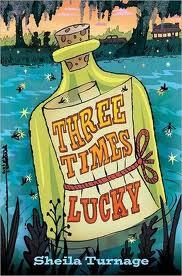 Three Times Lucky is a sweet story of a girl who was orphaned as an infant trying to solve a mystery in the present while also trying to solve the mystery of her past. 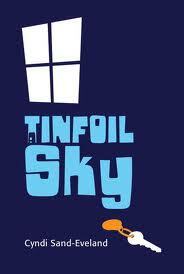 Tinfoil Sky tells the story of a girl who is trying to come to terms with the strange nomadic life she leads with her mother---is it wrong for her to want to stay in one place? For non-fiction lovers, there's Citizen Scientists by Loree Burns--learn how to be an active scientific research assistant in your own town! 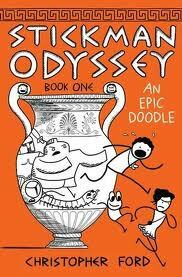 For those of you who enjoy graphic novels, Stickman Odyssey by Christopher Ford is one of this summer's most popular titles. 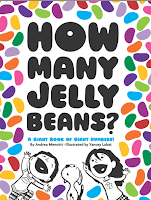 Of course, there are so many more great books here in the Children's Room. Come on in and discover some new ones yourself!